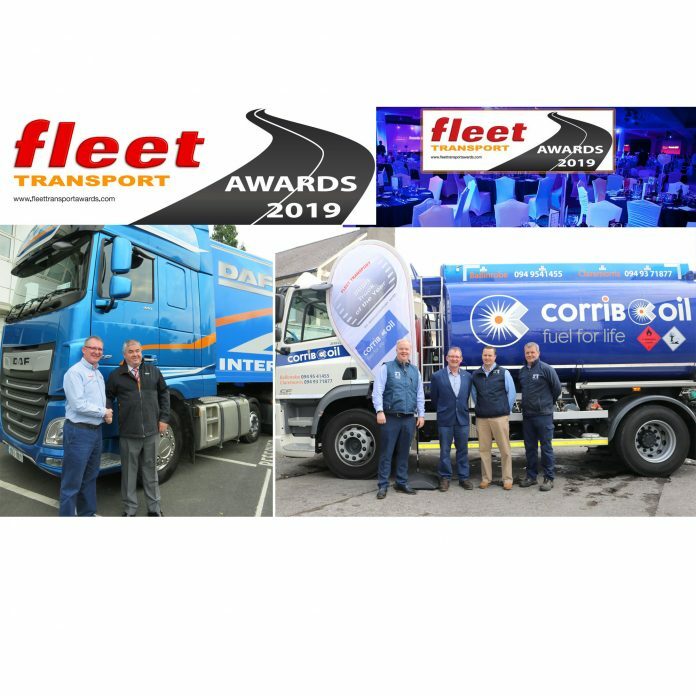 DAF Trucks Ireland, one of Ireland’s leading truck brands from light to heavy duty is the new stage sponsor at the Fleet Transport Awards 2019 Gala Dinner at the Citywest Hotel, Dublin on 11 October next. 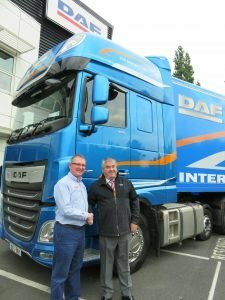 As per tradition at the event over the past years, a selection of trucks from the multi-award winning Dutch marque will on this occasion be the main stage setting to include the XF & CF Series, 2018 International Truck of the Year Award holders, as well as a City version of its LF Series, at the Exhibition Arena. The 90th Anniversary of DAF and 45th year of business at DAF Distributors Ireland will be celebrated in a special way on the night. Pictured at the sponsorship launch at the DAF Distributors Ireland Ltd., headquarters in Baldonnell, Dublin were Jarlath Sweeney, Group Editor; Fleet Transport and Nicky Gill, Sales Manager, DAF Trucks Ireland. Corrib Oil, the Galway headquartered fuel, lubricants and servce station provider is the new title sponsor of the Fleet Transport Irish Truck of the Year Awards 2019. Organised by Fleet Transport magazine, the Irish Truck of the Year Awards are presented to the trucks, after a two-day assessment process, which have made the greatest contribution to road transport efficiency in terms of innovation, comfort, safety, driveability, fuel consumption and emissions reduction. The winners of the awards will also be announced at the 12th annual Fleet Transport Awards Gala Dinner. Corrib Oil operates 15 fuel depots and 16 service stations across 14 counties in the West, Mid/South West regions. 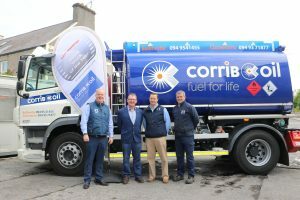 Pictured at the sponsorship launch at Corrib Oil’s Claremorris depot were Eamon Dalton; MD., Corrib Oil, Jarlath Sweeney; Group Editor, Fleet Transport, Ollie Connelly and Kevin Connelly; Sales Representatives, Corrib Oil.